The list of the best, useful and working Pokemon Light Platinum cheats you can use through GameShark V3 codes (Action Replay) for your Pokemon Light Platinum ROM hack game. Pokemon Light Platinum is an improved and entirely new looking version of Pokemon Ruby with a superb story, new items, Pokemon, map, and more features. Cheating is famous in almost every game, although wrong in real life but not in the video gaming world. Taking advantage and using cheats in Pokemon Light Platinum is very handy and useful because it makes you out of the limited abilities in the game while enjoying extra features. However, cheat codes can be risky when improperly used or abused, so be sure to follow every instruction when activating a cheat especially in every Pokemon Game Boy Advance games. Well I have tried every last one of these cheats. For the most part they all work. But there are some that are not listed that work. With that said. 90 percent of the Pokemon modifier cheats do not work. They give you a Pokemon other than what it states or none at all. But the cool thing is some of them throw you off to be regular every day pokes when they are legendary. Check it out unless it’s my version of the game. Of Deoxy in this game. The original. And Deoxy SPD. It’s the Lickitung code. This is a code breaker cheat. Not Gameshark or Action Replay. So make sure it’s set to Code Breaker but only for the Master. Then the Pokemon mod cheats to Gameshark V1/V2 form. Still working on Leafeon and Glaceon codes. Will be back with more. Hope I’ve helped and enjoy. I have personally tried and tested the cheats for Pokemon Light Platinum listed above, and it works perfectly without problems. 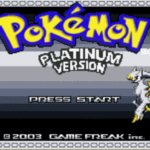 Light Platinum is a Pokemon Ruby-based rom hack; therefore, some regular Pokemon Ruby Cheats could also work also in this game. Pokemon Light Platinum is a superb game that a must download for every Pokemon fan. You can’t even notice you are playing the old Pokemon Ruby in this game because of its full overhauled environment and new game story. Got something you would like to share with us and to fellow Pokemon Light Platinum fans? Don’t forget to leave a comment below. Bro I am using John GBA lite. I tried your cheat code and they don’t work. Help me please. Hello Joe, try switching to My Boy and let met know how it goes to you. I may found new codes for wild Pokémon(like Reshiram), following the advice of Aaron. Does anyone need or want to test them? Feel free to share the codes here, everyone need codes for Wild Pokemon. I will test them and then write them here, I hope to finish in a few days, thanks for your work guys! Looking forward to it pal. Is there a code for the water stone for this rom? Can you please tell me what GBA emulator are you using to activate the cheat? I will find the code for that my friend, stay tuned. Do you have code to catch Palkia. I love Palkia. The level codes are all messed up. the one for level 98 and 100 don’t work and the one for level 99 is actually level 45. Is those codes work on light platinum plus, if so there is a cheat code for victini? I use the smeargle code but it keeps showing me Rotom…. Sorry for comment on other comment…cuz i literally dun know how to comment on …Anyway can i ask why the fire stone chear doesn’t work? Is it possible to have cheats for 5th gen pokemon? What is the code foe Mega Stones?? Most likely yes, especially if your Chromebook can run Android apps. Hi there Aaron, such a useful share, just want to let you know that I added your codes in the list under “Guest Shared”. Thank you. Hey there Kris, just want to say thank you for sharing your codes and providing important details activating them. I’ve added your codes in the collection under “Guest Shared” section, kindly check it. Maybe your emulator don’t support the pokemon encounter cheat. Which GBA emulator are you using? Try switching to My Boy, I highly recommend this app over other GBA emulators. If that’s the case, you can opt for apk of My Boy full. Although I don’t recommend apk’s, but if you badly need the full version then go for it. Try using Chrome/Safari, I’m not a fan of other browsers rather than these popular browsers. I just added the level modifier cheat, please check it again. Why I can’t open any cheats???? I am disappointed please fix this. I can’t tap + button… fix this. all of gen 3 is just working on route 401!! if you want some pokemon of gen 3 use the code an get to route 401 there you can catch them! And Skyserver, where is that route 401 again? Haha, nice. You must have a very strong Pokemon team now. Why everyone who says that wild pkmn modifier does not function for 3rd Gen pokemon never had an answer????? I’ve seen multiple comments about it with no reply. The gen 3 Pokemon codes don’t seem to work even though they save as if they’re correct. Both gen 1 and 2 work but 3 codes won’t. 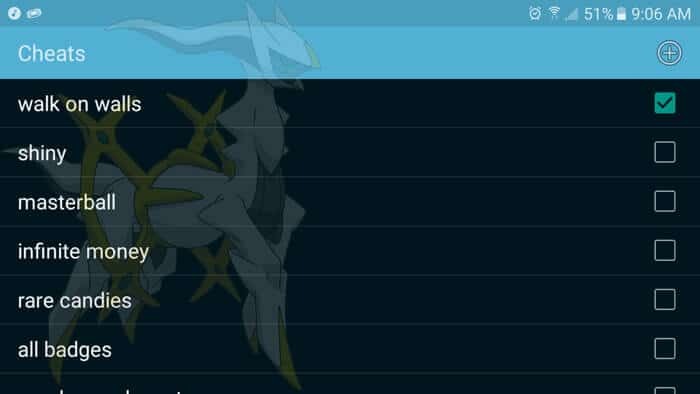 Where is garchomp or gible? Hello,I’m trying both of the shiny cheats but they won’t work on my full version my boy. And I am using the the mastercode. If im doing something wrong will tell me. Yes Mythic, it works with My Boy Full version, In fact I highly recommend that emulator. Here’s an article guide I created to help you enter multiple-liner cheat codes on My Boy Free version. Or just download the full version of MyBoy! Why arent gen 3 pokemon working when I try to get the gen 3 starters, the codes won’t work. Someone please help. They work, you’ve just gotta keep walking through the wild grass until the Pokemon you want pops up. Took me at least six tried to get a Ralts, they add the Pokemon you’re looking for the the selection of wild Pokemon in the area instead of just making that Pokemon all wild Pokemon. Looking for it after u enter the code is pretty much the same as looking for any other Pokemon in the talk grass. Their there you’ve just got to look for them until you see them. that’s just not true, I’ve searched at least for 5 minutes with no results such as yours. great cheats all working. please help me. where to go after defeating gym leader in canalave city? where is the 7th gym in pokemon light platinum version. 🙂 Thanks a lot pal! please help me. where to go go after I defeat Leader Tougan in Canalave port in Pokemon Light Platinum version. Thanks a lot! Hey do you have a code for riolu? There’s none so far but I will surely share it here when I found the cheat for mega stone. Care to share the code to us? The wild Pokémon codes for generation 3 aren’t working for me, I’m using the GBA4IOS emulAtor on my iPhone and using the action reply or gameshark option but neither work. Am i missing something? Same im using myboy and gen3 are not working help!!! Simply apply the codes and walk on wild to encounter legendaries. Yes the cheats works for GBA4iOS. Give it a try. Is there any way for me to get a shiny charmander from the get go?? As long as you have the correct rom version then the cheats should work 😀 Congrats pal and have fun. What does a moon stone do? Mega stone you have cheat? Click unlimited master ball above to view the code. Yup it does work, I’ve tested all of these myself personally so I’m pretty sure it does. There are no mega stones. Why?